A Local Favorite Filled with Challenge and Charm. 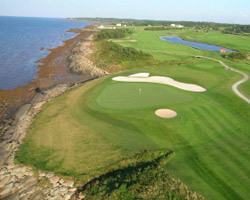 The Strait between Nova Scotia and Prince Edward Island shares its name with a terrific Bill Robinson design, Northumberland Golf Links. Situated along the coast of northern Nova Scotia near Pugwash, this picturesque layout has origins dating back to the 60’s. 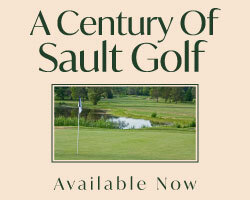 This one time nine hole routing was expanded to an 18 hole layout by the provincial government during a time when they were looking to create a destination resort on the site. 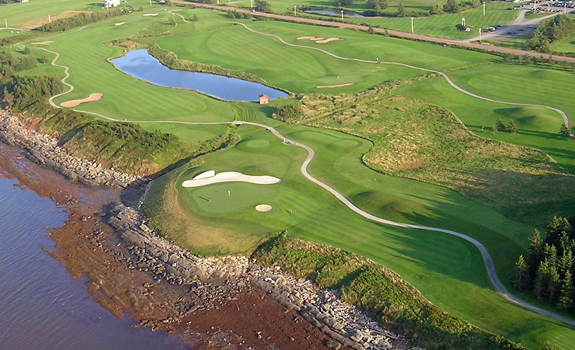 When those plans fell through the membership was able to buy the course back and have been proudly sharing it with golfers looking for impeccable conditioning and a wonderfully challenging routing. With a great blend of coastal holes and many routed through thick forests high on a bluff, the course is as much about thinking your way around as trying to overpower the holes. With stunning vistas, great value and outstanding conditioning, Northumberland is a place you must consider when in Atlantic Canada. The first short hole is ironically not so short. 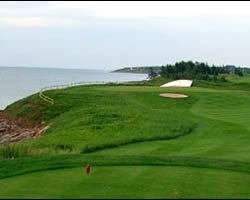 Playing along the coast of the Northumberland Strait, the green is raised, fronted with a large pot bunker and backed by the hull of a boat. Sea breezes must be taken into account to stand a chance at getting on this dance floor. The par 5 fifth hole is a precision drive between trees left and a massive pond on the right. Only the most lengthy hitter will stand a chance to flirt with the possibility of getting home in two on this green protected by large mounds front and right of the surface. A bunker directly in front and behind are ready to swallow anything less than perfect. The dogleg left eighth provides many choices. The smart play is to lay back to the corner avoiding the pond at the corner, but as we know golfers like a challenge. 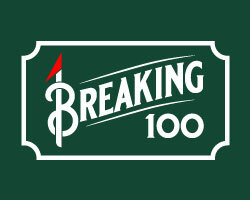 A bold strike that is high and true can clear the treeline and leave a flip wedge to the target. The bold player can hug the trees down the left on the par 4 sixteenth to shorten the approach to the green protected well by a fronting creek and significant cant away from the line of play.